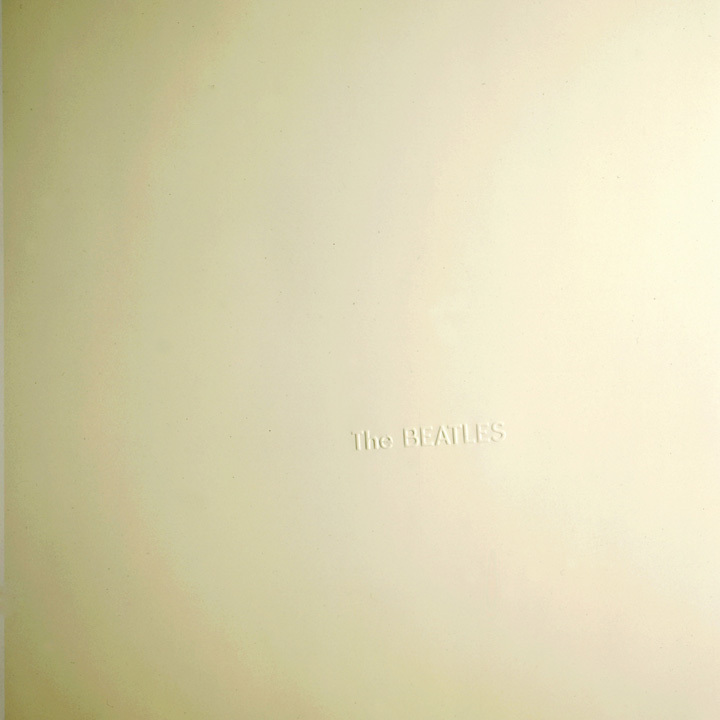 Sad news this past week that Richard Hamilton, the British artist who helped the Beatles design the minimalist cover and inserts (a large photo-collage poster and four individual photographs of the band) for their famous “The Beatles (White Album)” LP has died at the age of 89. Released in 1968, no Beatles collection would be complete without it. Its simple plain white cover was the very antithesis of the one which immediately preceded it – the comparatively gaudy and colourful “Sgt Pepper”. I really don’t have to write much here as there is such a lot of good information on the web already about Richard Hamilton and the work he did on “The Beatles (White Album)”. In fact there’s one extensive website dedicated to just about everything you’d care to want to know about it, including a page on the design, and a page about Hamilton the artist himself. The Beatles Bible website also has a six-page article on the “White Album”. And the Guardian newspaper ran this obituary to Hamilton. This entry was posted in Apple Records, Beatles, Beatles Collecting, Beatles Music, Beatles Related and tagged Apple Records, Beatles, Beatles Collecting, Beatles Related, Music, Richard Hamilton, Sgt. Pepper, White Album by beatlesblogger. Bookmark the permalink.